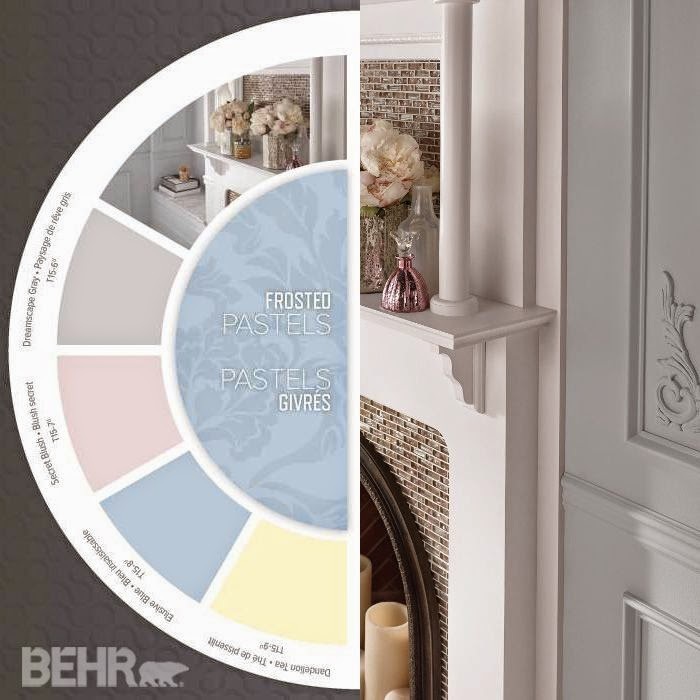 2015 Color and Style Trends of Behr Paints have 20 all-new exclusive paint colors and four inspirational design styles. Influenced by the pleasure and emotion color evokes, Behr empowers its consumers to create rooms that are balanced, stylish and inviting. 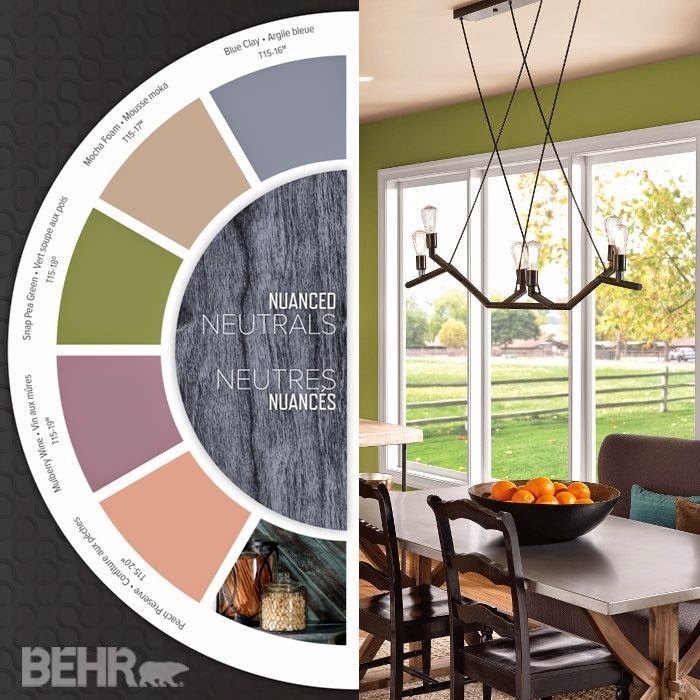 By providing an extensive range of captivating color palettes, Behr's new trends offer creative inspiration to help consumers coordinate different colors and tones to maximize the level of energy they wish to convey in each living space. Wall colors can be dramatic or ethereal, energetic or relaxed. These wall colors can be beautifully complemented by colors in furnishings, textiles and décor objects for harmonious results. "Color itself is like one of the senses, enhancing our world and our state of mind," said Erika Woelfel, Director of Color Marketing for Behr Paints. 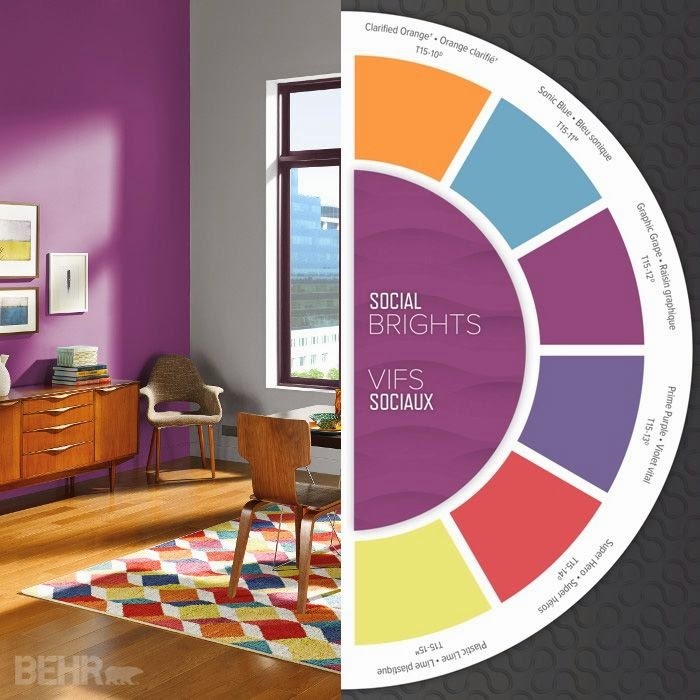 "Behr's 2015 Color Trends will help consumers pick the right color for their projects while providing a glimpse of how rooms appear in different tones." An invitation to a tranquil escape into a dreamy, mythical landscape, Deep Dreams features serene colors like teal, charcoal and eggplant that offer an oasis of relaxation in a bedroom. Balance is created with white trim, gold metallic and pops of citron yellow in the décor accessories. Lush layers of patterned textiles invite fuchsia, bright green, and purple into the mix. 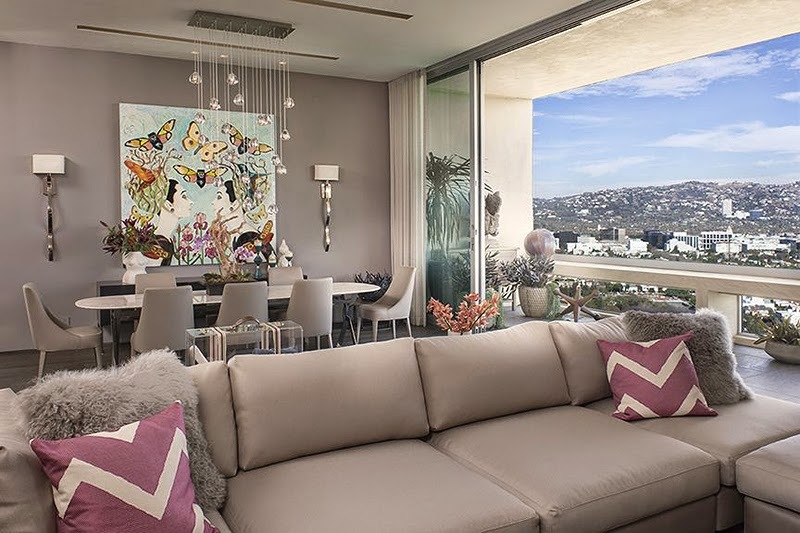 An open look at how pastels create stimulating environments when combined with zesty bright accents, the contrast of pastel and striking accent is balanced by touches of mauve and black found on floor stencils, fireplace tile and window treatments. A refined balance of brights and neutrals, lighter and darker colors, Social Brights features pure blue, red, purple and orange that feel energetic, draw attention and create a lively place for conversation. 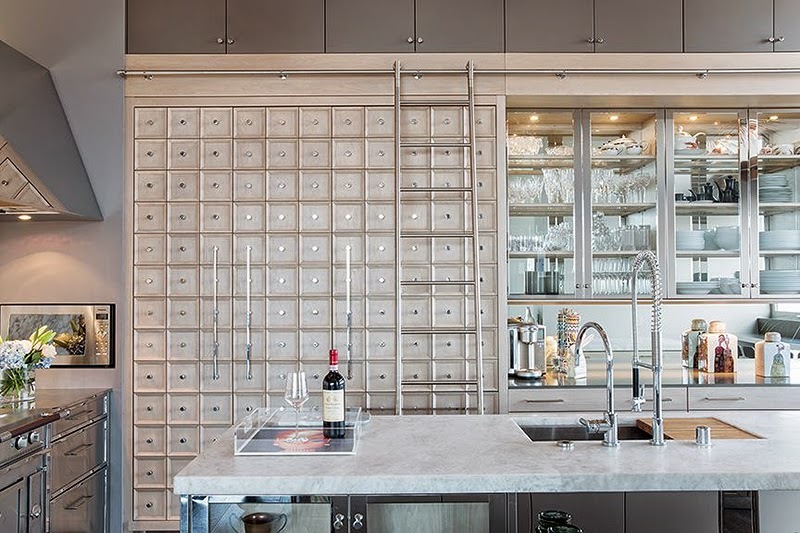 Shades of gray are the perfect balance on adjoining walls, trim or ceiling. Other intense hues make playful accompaniments in small decorative accessories for tabletop and shelving displays. A spotlight on weathered, rustic colors, the hallmark of today's mid-range neutral palette, Nuanced Neutrals features dusty aqua paneling and light tan walls, the casual companions of charcoal, lively copper and citrus orange accents. 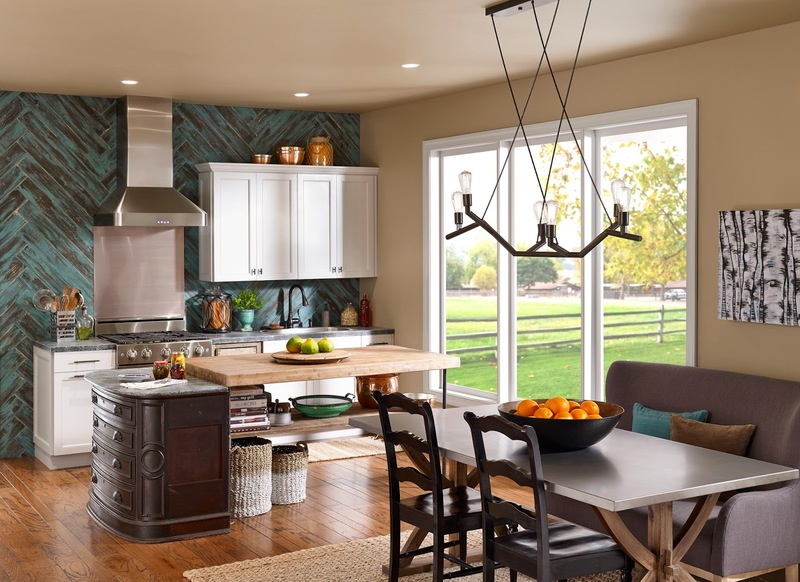 From the sweet charm of pastels, to the comfortable ambience of neutral tones, to the dare and majesty of deep and bright tones, Behr Paints has pulled together trends to capture the balance needed to create inviting, inspiring and dramatically transformed rooms. First, to keep pastel rooms from feeling overly sweet, a pop of bright color and dark accents add dimension and create an airy, feminine appeal. Touches of dusty earth tones ensure neutral rooms create a marriage of function and comfort. For deep and hued rooms, layers of color and texture in furniture, window treatments and other accessories add volume and interest, and rich patterns in textiles allow accent colors to shine. Finally, brights are used sparingly and balanced with lighter or darker colors to create a refined yet lively look. Each original trend is showcased with a room image that embodies the theme, and includes a selection of diverse in-vogue colors. 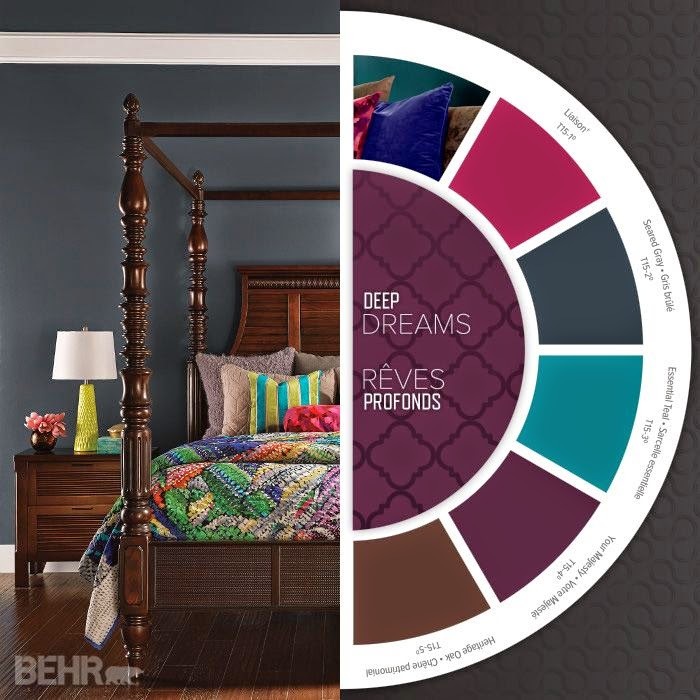 The Behr 2015 Color Trends brochure can be found in stores and includes detailed décor themes plus design and decorating tips to help consumers visualize each space. To further the visual experience, consumers can follow a QR code found on the back of the Trend Card brochure or watch a video online that brings the themes to life. Additionally, explore, preview and purchase the 2015 Color Trends and select the project type, size, brand, and sheen on the ColorSmart by BEHR Digital Paint Store. This all-new tool allows consumers to purchase paint orders for delivery to their home. The ColorSmart by BEHR Mobile application, available as a free download for iPhone®, iPad® and Android compatible devices, helps users find the perfect BEHR Paint Color at the touch of a finger. For updates, fans can find Behr on Facebook at facebook.com/BehrPaint and on Twitter at twitter.com/BehrPaint. Plus, visit Behr.com for inspiration and how-to information and Behr's blog colorfullybehr.com to learn more about the 2015 Color Trends. Founded in 1947, Behr Process Corporation is one of the largest suppliers of architectural paint and exterior wood care products to the United States and Canadian do-it-yourself channel. Behr manufactures paints, decorative finishes, primers, stains and surface preparation products. Professional contractors can visit behrpro.com to learn more about BEHR® products and BehrPro® services. 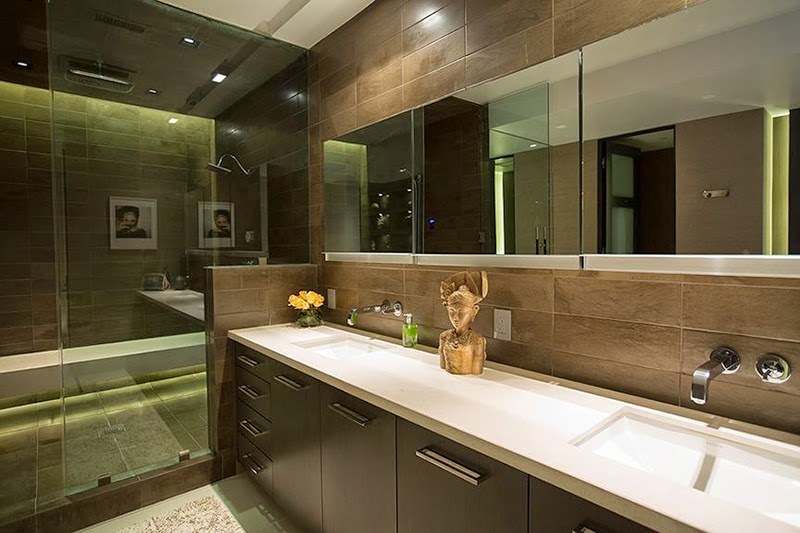 Behr is a subsidiary of Masco Corporation and is headquartered in Santa Ana, CA. 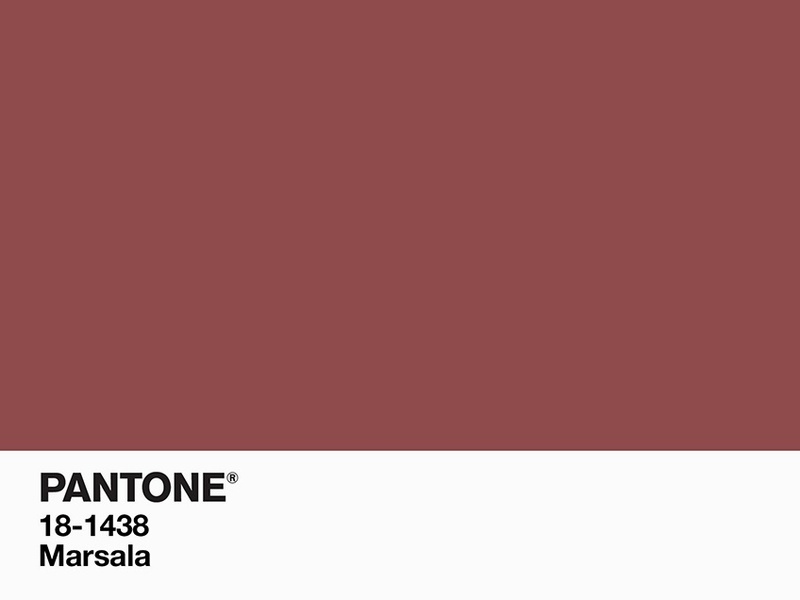 Pantone LLC, the global authority on color and provider of professional color standards for the design industries, announced PANTONE 18-1438 Marsala, a naturally robust and earthy wine red, as the Color of the Year for 2015. "While PANTONE 18-3224 Radiant Orchid (click here to read), the captivating 2014 color of the year, encouraged creativity and innovation, Marsala enriches our mind, body and soul, exuding confidence and stability," said Leatrice Eiseman, executive director of the Pantone Color Institute. "Much like the fortified wine that gives Marsala its name, this tasteful hue embodies the satisfying richness of a fulfilling meal, while its grounding red-brown roots emanate a sophisticated, natural earthiness. This hearty, yet stylish tone is universally appealing and translates easily to fashion, beauty, industrial design, home furnishings and interiors." 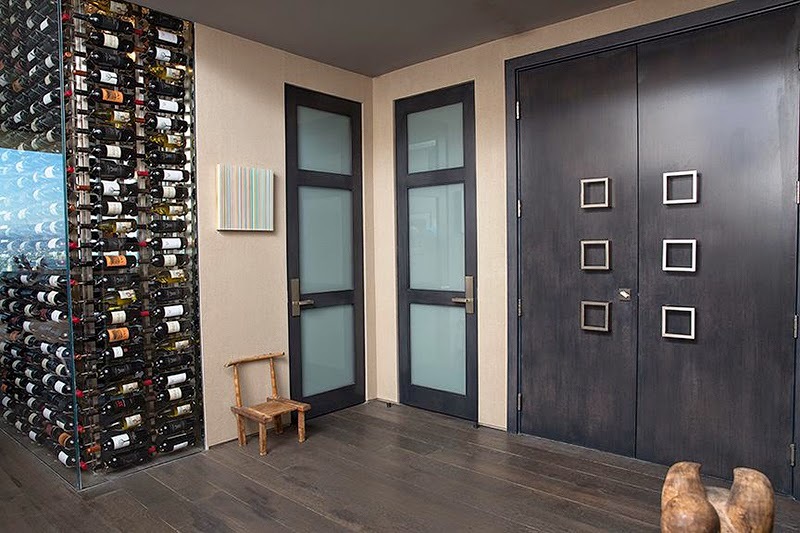 Complex and full-bodied without overpowering, Marsala provides a unifying element for interior spaces. Add elegance to any room by incorporating this rich and welcoming hue in accent pieces, accessories and paint. Marsala's plush characteristics are enhanced when the color is applied to textured surfaces, making it an ideal choice for rugs and upholstered living room furniture. Nurturing and fulfilling, Marsala is a natural fit for the kitchen and dining room - making it ideal for tabletop, small appliances and linens throughout the home. The hue will be especially prominent in striping and floral patterns found in printed placemats, dinnerware, bedding and throws. A rich contrasting color, Marsala is ideal for use in graphic design and packaging. Eye-catching, but not overwhelming or bright, consumers are immediately drawn to the hue, making it an alluring shade at point-of-purchase. As packaging becomes increasingly more artistic, Marsala will be a natural fit for both high- and low-tech materials, including on-shelf periodicals as well as printed assets, like calendars and stationery. 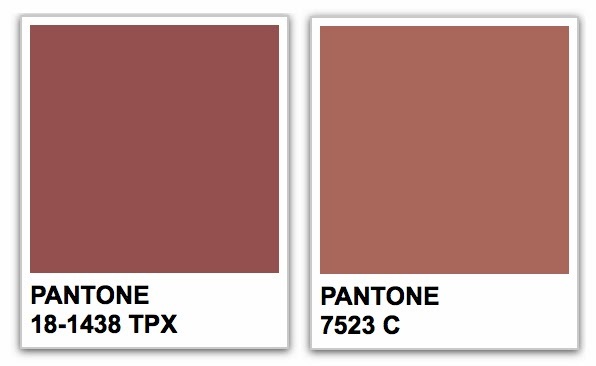 PANTONE 18-1438 Marsala can also be cross-referenced to all other PANTONE Libraries including PANTONE PLUS for graphic design. For cross-referencing information, click here or see pantone.com/ColoroftheYear. NOTE: These cross-references are only to be used as a starting point. They were calculated using spectral data under controlled lighting. Pantone strongly recommends that you reference current PANTONE Color Standards before making final color decisions. You may find better visual matches under your preferred lighting conditions. PANTONE Colors displayed herein may not match PANTONE-identified standards. Consult current PANTONE Color Publications for accurate color. Pantone LLC, a wholly owned subsidiary of X-Rite, Incorporated, has been the world's color authority for almost 50 years, providing design professionals with products and services for the colorful exploration and expression of creativity. Always a source for color inspiration, Pantone also offers designer-inspired products and services for consumers. 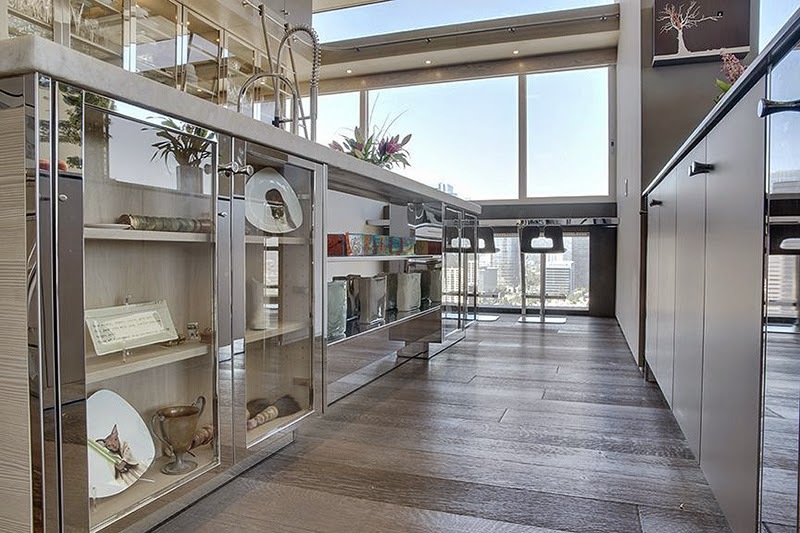 Nicole Sassaman, redesigned this exclusive residence, the 'Barbie Penthouse', which was formerly owned by the Handler family, who started and owned Mattel Toys. 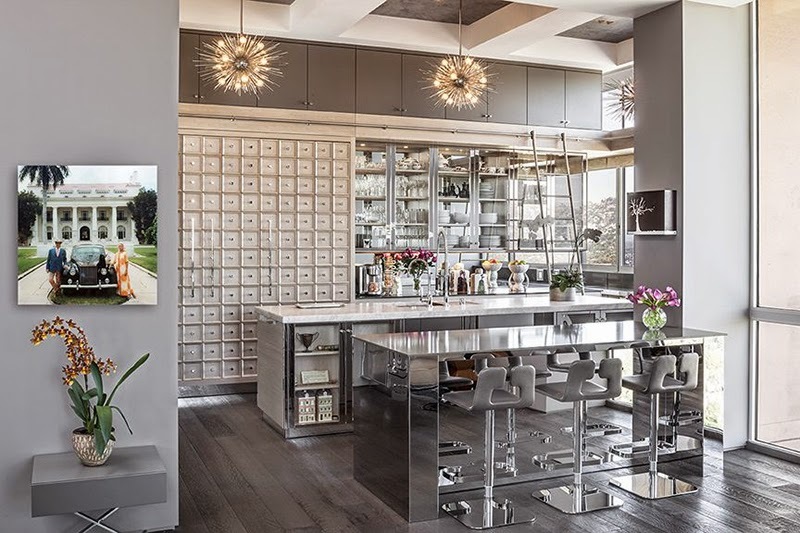 Nicole Sassaman has purchased this property from Barbara "Barbie" Segal, the inspiration for the original Barbie doll, and felt it only right to honor such a legend throughout the redesign of the space. 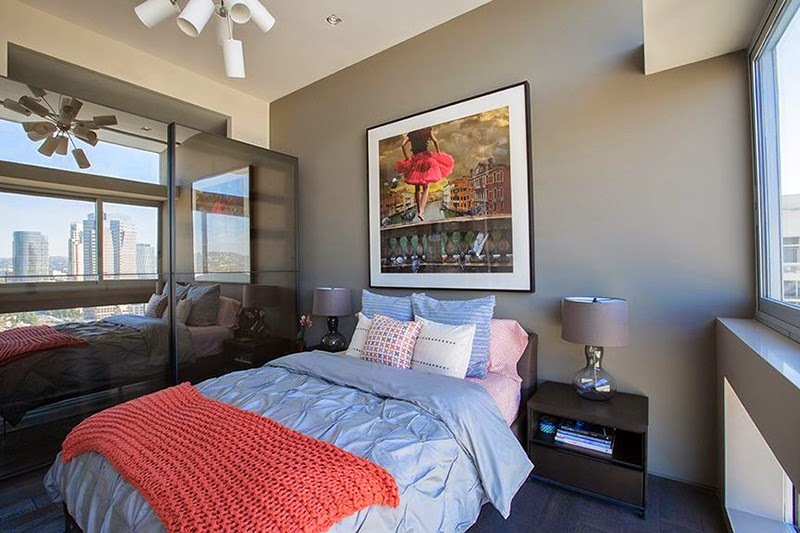 She has started from scratch and removed every wall and window to give the space a fresh look and feel. The results were equal parts sophistication and fun! Every corner that you turn has an unexpected surprise and is layered with the finest materials creating just the right balance of unforgettable details. 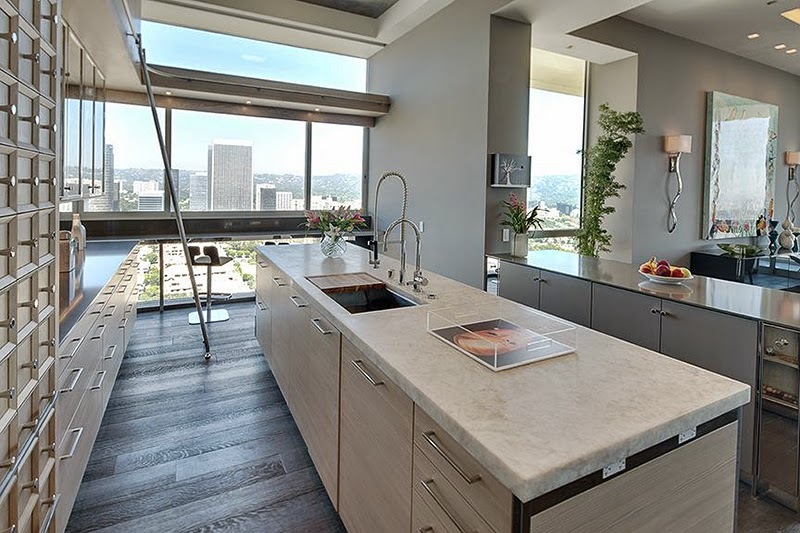 This property will amaze you with its design and the views of the entire city of Los Angeles will leave you speechless! All images courtesy of Nicole Sassaman. 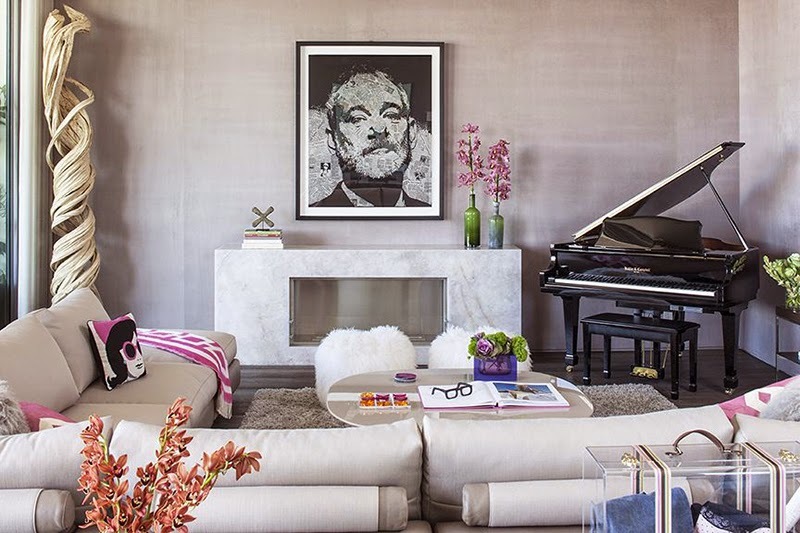 Nicole Sassaman is one of the leading tastemakers in the design, real estate and entertainment industries. 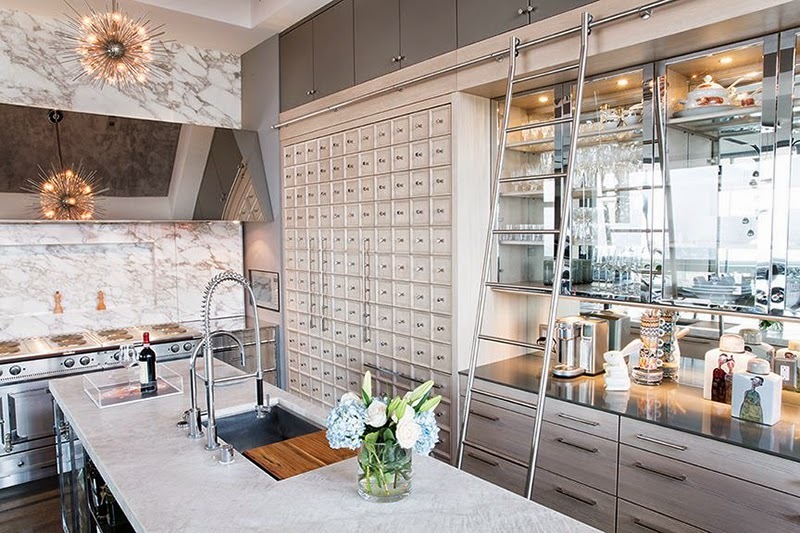 She is widely known as a top real-estate flipper, designer, and television host who has now released two critically acclaimed books, Design Life, and most recently, 100 Sassy Tips: Renovation . Nicole has been featured on HGTV, Fine Living, and the Style Network, dishing her favorite 'Sassy' tips and tricks for design ideas at every budget. She is known for her design philosophy that anything is possible and sees every wall as a door. Nicole is a true "Jill-of-all-trades" and is a skilled welder and builder ­ fully equipped with her Gucci tool belt. 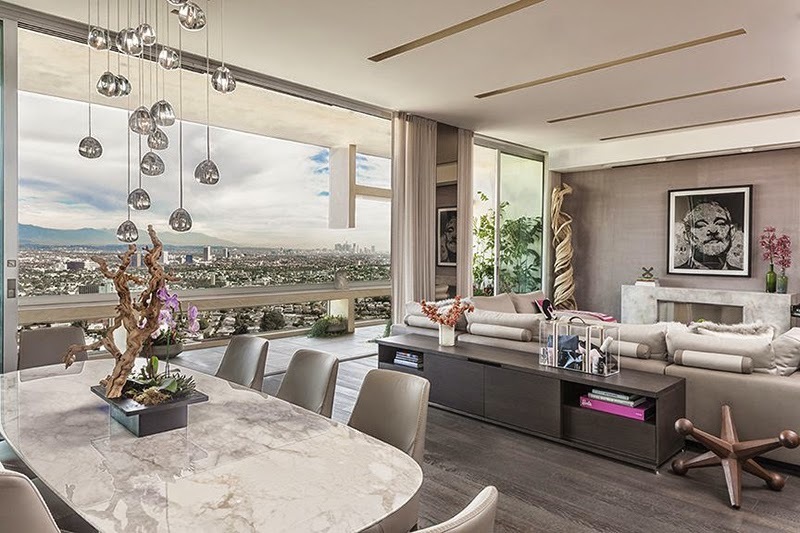 She has designed and sold more than 100 residences in Los Angeles, including luxurious high-rise buildings in Century City and high-end homes in the Hollywood Hills, Beverly Hills and Malibu, including the Greta Garbo Estate. 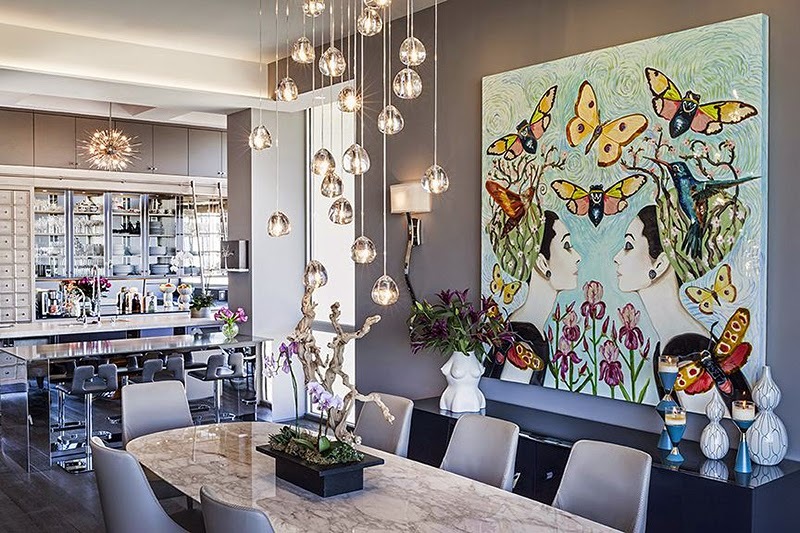 Nicole recently completed a total renovation of the "Barbie" penthouse in Century City and is currently furnishing homes in The Residences at Mandarin Oriental, Las Vegas. From the delicate nested spirals of a sunflower's seeds, to the ridges of a majestic mountain range, to the layout of the universe, mathematical patterns abound in the natural world. Numbers in Nature: A Mirror Maze is a new permanent exhibit that will expose and explain the patterns that surround us. MSI "Numbers in Nature" from Leviathan on Vimeo. As you enter Numbers in Nature, lenticular images and an immersive large-format film reveal these repeating patterns hidden throughout nature: spirals, occurrences of the "golden ratio" (ɸ), Voronoi patterns, and fractal branching. The exhibit's centerpiece is the 1,800-square-foot mirror maze, where you'll find yourself in a sea of equilateral triangle chambers that repeat in a dizzying array of mirrors. Can you navigate the maze to find the secrets within? 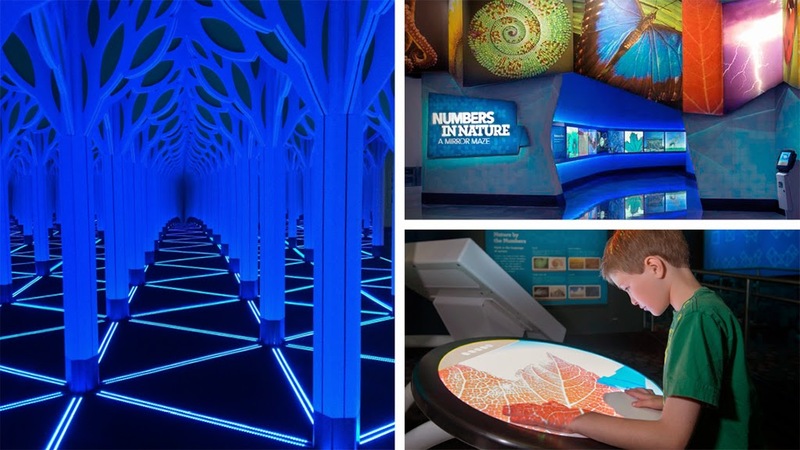 Complete your journey through Numbers in Nature in a gallery of interactive digital displays and stations, where you can discover even more patterns and ratios in nature-including those found in your own body and in centuries of music, art and architecture. You'll never look at the world the same way again. The Museum of Science and Industry is the largest science museum in the Western Hemisphere, and contains such magnificent exhibits as an enormous U-505 submarine and a full-scale home of the future. Numbers in Nature, the institution's latest permanent exhibit and newest collaboration with Leviathan, explores the recurrence of patterns and mathematics in our natural world through artful film and interactive installations. 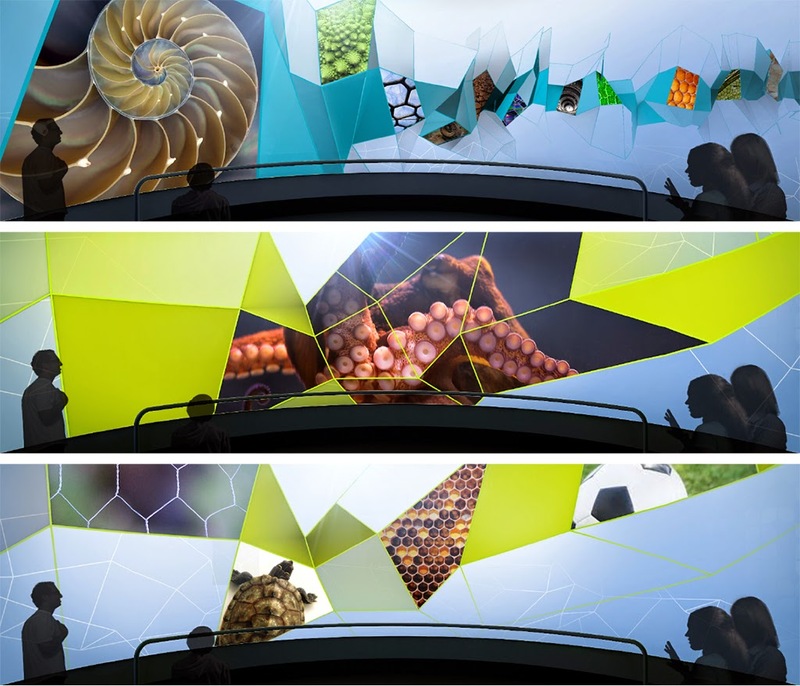 Beginning with an ultra-widescreen theater, we help introduce these phenomena through immersive video content, combining original and existing photography with motion graphics and visual effects. To give guests some hands-on learning, a series of interactive installations (and a mind-bending mirror maze) further explain individual scientific principles touched on in the film. Guests can look into a two-way mirror and see their own natural proportions superimposed Leonardo da Vinci's Vitruvian Man in real time; or virtually explore 3D spirals, voronoi and other patterns that appear naturally using nothing but the wave of a hand. Combining simple analog controls such as knobs, wheels and blocks with cutting-edge technology such as touchscreens, Kinect cameras and Leap Motion sensors, our team designed nearly a dozen dynamic experiences to not only engage children and adults alike but also remain relevant well into the next decade. Chicago's Museum of Science and Industry, one of the largest science museums in the world, is home to more than 35,000 artifacts and 400,000 square feet of hands-on exhibits designed to spark scientific inquiry and creativity. Monday - Friday: 9:30 a.m. to 4 p.m.
Saturday - Sunday: 9:30 a.m. to 5:30 p.m.
Leviathan is a conceptual design company that creates engaging narrative content and experiences for brands and entertainers worldwide. The bold images they conceive appear on stages and architecture, in themed destinations and on screens of all sizes, accompanying famous faces and household names. Leviathan teams build experiences to enthrall audiences, initiate conversations and keep the crowds coming. Every day, Leviathan's artists and engineers help transform the worlds of commercial advertising, live events, film, television and environments. MakerBot, a world leader in the desktop 3D printing industry, and Martha Stewart Living Omnimedia Inc. (MSLO), announced an exclusive agreement to distribute 3D printing materials and jointly develop 3D printable designs. MakerBot launches exclusive agreement with Martha Stewart Living Omnimedia to develop and market Martha Stewart for MakerBot® Filament and Martha Stewart for MakerBot Digital Store collections. Three new filament colors and a Trellis Digital Store Collection are available at www.makerbot.com. Photo courtesy of MakerBot. The collaboration includes Martha Stewart for MakerBot Filament, MakerBot's first-ever co-branded collection of MakerBot Filament, as well as Martha Stewart for MakerBot Digital Store collections, with models to be purchased, downloaded and 3D printed on a MakerBot Replicator 3D Printer. Three new Martha Stewart for MakerBot PLA Filament colors and the first Martha Stewart for MakerBot Digital Store collection, the Trellis Collection, are available at makerbot.com and on MakerBot's Digital Store. "We are big fans of Martha Stewart and her thematic designs," noted Jenny Lawton, acting CEO of MakerBot. "We think her creations and colors are a natural fit for 3D printing. Seeing a renowned lifestyle brand such as MSLO introduce 3D printable merchandise is a true testament to their company's innovative outlook. By working with the MSLO team, we're able to broaden our reach and bring Martha Stewart's design aesthetic to an entirely new audience." Martha Stewart Trellis Digital Store Collection are available at www.makerbot.com. Photo courtesy of MakerBot. The MakerBot and MSLO partnership is a relationship that MakerBot describes as a true collaboration. Martha Stewart and her team of designers are working side by side with the MakerBot design teams to produce MakerBot Digital Store collections that allow customers to easily 3D print premium Martha Stewart content in custom Martha Stewart colors. MakerBot created the MakerBot Digital Store to sell original, fun and collectible digital content specifically designed for MakerBot Replicator 3D Printers. The MakerBot Digital Store offers a wide selection of 3D printable models that are verified by MakerBot as easy to print, and the new Martha Stewart designs will add to the store's variety of useful 3D printing options. "We are thrilled to work with MakerBot to bring our signature color palette and designs to the world of 3D printing," noted Martha Stewart, Founder and Chief Creative Officer of MSLO. "3D printing allows for cost-effective product design without compromising artisanal character. With this partnership, we are able to leverage our expertise and expand our business into the exciting new 3D printing category." The initial Martha Stewart for MakerBot PLA Filament colors, Lemon Drop, Robin's Egg and Jadeite, are available at MakerBot Retail Stores in New York, Boston and Greenwich, Connecticut, and online at store.makerbot.com/pla-filament. These new Martha Stewart colors join more than 20 other MakerBot PLA Filament colors that are made to add a fun and dynamic element to 3D printing. All MakerBot Filaments are manufactured to produce the highest quality 3D prints. MakerBot PLA Filaments are also the best, purest and most consistent filaments for MakerBot Replicator 3D Printers. The first Martha Stewart for MakerBot Digital Store collection, the Trellis Collection, allows MakerBot users to download exclusive table accessory designs. This first collection offers a coaster, napkin ring, place card holder and LED votive holder and is available at digitalstore.makerbot.com/martha-stewart. Individual designs start at $0.99 and the full collection is available for $2.99. MakerBot, a subsidiary of Stratasys Ltd., is leading the Next Industrial Revolution by setting the standards in reliable and affordable desktop 3D printing. 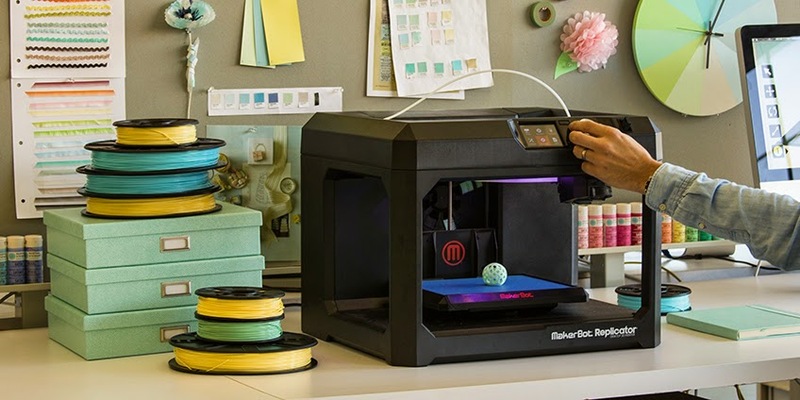 Founded in 2009, MakerBot sells desktop 3D printers to innovative and industry-leading customers worldwide, including engineers, architects, designers, educators and consumers. To learn more about MakerBot, visit www.makerbot.com. Martha Stewart Living Omnimedia Inc. is a diversified media and merchandising company, inspiring and engaging consumers with unique lifestyle content and distinctive products. The company reaches approximately 100 million consumers across all media platforms each month and has a growing retail presence in thousands of retail locations. MSLO's media brands, available across multiple platforms, include Martha Stewart Living and Martha Stewart Weddings; the company also offers books and utility apps. MSLO's television and video programming includes the "Martha Stewart's Cooking School" and "Martha Bakes" series on PBS, in addition to made-for-the-web video and a vast library of how-to content available online. "Martha Live," a radio show hosted by Martha Stewart, airs every weekday on SiriusXM Channel 109. MSLO also designs high-quality Martha Stewart products in a range of lifestyle categories available through select retailers, including The Home Depot, Macy's, JCPenney, Staples, PetSmart, Michaels and Jo-Ann Fabric & Craft Stores. 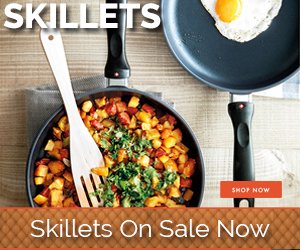 The MSLO family of brands also includes Chef Emeril Lagasse's media and merchandising properties. Additional information about MSLO is available at www.marthastewart.com. Los Angeles-based women's label, Wildfox Couture, has officially opened the doors to its first flagship retail store in the iconic Sunset Plaza shopping district of Los Angeles, CA. Wildfox CEO Jimmy Sommers says, "We are thrilled our customers finally have the opportunity to experience all of our products in one place. The flagship location will always carry the newest and widest assortment of styles. The space is meant to feel like walking into the ultimate Wildfox girl's dream closet. The look of the store will change with the release of every collection so I want customers to experience each campaign photo shoot brought to life." 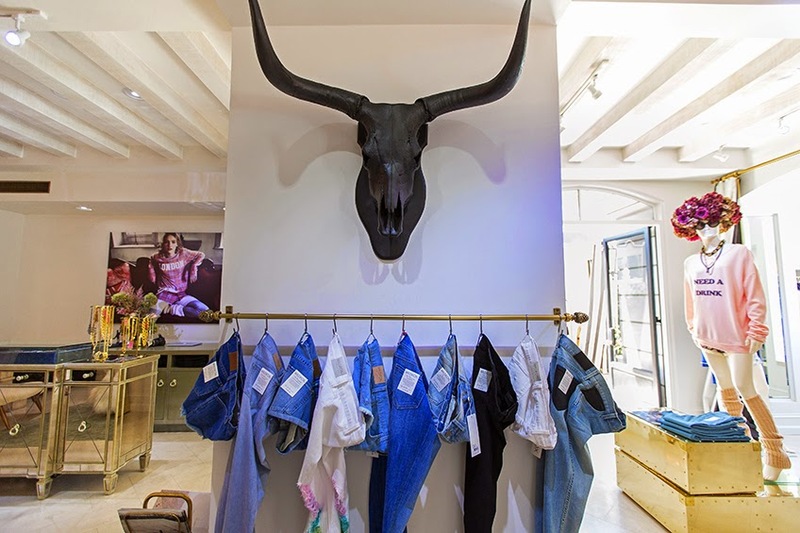 The 2,000 square foot space will showcase the brand's iconic ultra-soft, graphic tees, jumpers, dresses, and bottoms, angora blend sweater knits, eyewear, denim, swimwear as well as the full Kids range. 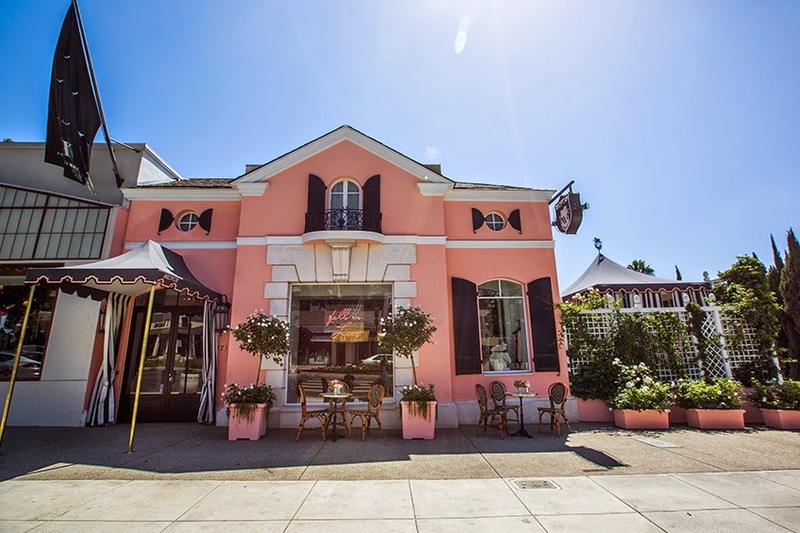 The exterior façade is characterized by Wildfox's signature peach-pink color, black and white awnings and a pink neon sign in the center front window which reads "Fall in Love" - a slogan the brand has used since one of its first seasons. Designed by Katie Hurley, Owner and Founder of Fineas+Clover, the flagship's décor is best described as an eclectic fusion of locally sourced, vintage pieces with modern accents. Expertly blending antique Mastercraft brass tables and delicate vintage china displays complemented by etched filigree mirrors and hand blown glass chandeliers, the interior transforms the Wildfox personality into a physical space patrons can experience on an intimate level. The interior boasts 15 foot beamed ceilings, travertine floors, a fireplace, and patio cabana, which will serve as an area to enjoy a cup of tea or coffee. Lining the walls of three shag carpeted dressing room areas is custom wallpaper featuring collages of the brand's most iconic campaign imagery in a sepia tone topped with a shiny, metallic coating. Launching exclusively in-store for holiday season, customers will be able to completely customize their own sunglasses by pairing any existing frame with a lens finish of their choice. Leenabell jewelry designer, Monica Stanley, has several of her collections available for purchase in the Wildfox store. Ranging from dainty to chunky, vintage to modern, and fine to custom, price points are between $100-1800. Inside the store, a live DJ set by BOYSTOWN kept the energy high while guests shopped Wildfox's Fall collection were treated to manicures by NCLA, makeup touch ups by Blushington, and a variety of refreshments and specialty cocktails provided by SVEDKA, Veuve Clicquot champagne, Château D'Esclans Whispering Angel Rosé, Heineken, Perrier and Red Bull. 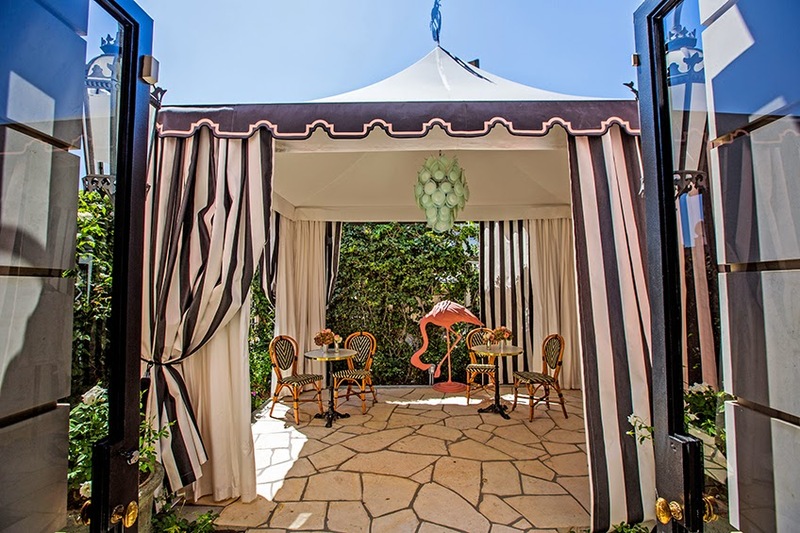 The store's parking lot was transformed into a backyard lined with ivy hedges - equipped with a photobooth, ping pong table, sushi bar by Sushiya, and the HEARTSREVOLUTION Ice Cream Truck covered in Swarovski crystals. Model Alessandra Ambrosio attends the Wildfox Flagship Store Launch Party on October 16, 2014 in West Hollywood, California. Model Alessandra Ambrosio (wearing Wildfox beanie) and Wildfox CEO Jimmy Sommers attend the Wildfox Flagship Store Launch Party on October 16, 2014 in West Hollywood, California. Wildfox is a Los Angeles-based women's label founded in 2007. 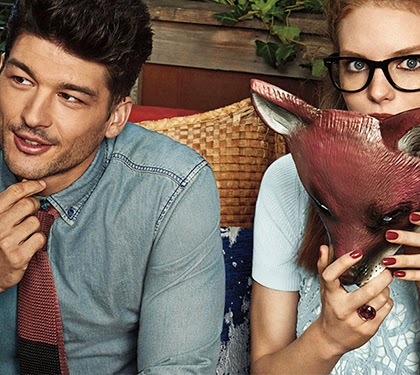 Known for its iconic campaigns, dreamlike quality, and clothes that tell a story, the brand has grown to include categories outside the core knitwear range, including Denim, Essentials, Intimates, Kids, Pajamas, Sun, Swim, and a White Label collection of luxuriously soft sweater knits, laces, chiffons, velour, and sequins. Wildfox launched its first flagship store in Los Angeles in September 2014 with additional U.S. locations planned for Malibu, New York, Miami, and Chicago. In partnership with Elizabeth Arden, the brand is set to introduce its first fragrance for summer 2015. The brand can be found in better retail boutiques nationwide including Ron Herman, Planet Blue, Akira, and Shopbop, along with select department stores such as Bloomingdale's, Saks Fifth Avenue, Nordstrom and Neiman Marcus. Internationally, Wildfox is distributed in over 30 countries worldwide including the U.K., France, Spain, Germany, Brazil, Japan, South Korea, Australia, Russia, and Taiwan and can be found in such stores as Selfridges, Harvey Nichols, Harrods, Matches, and TSUM.